Who is Adrian “Covan” Kowanek? 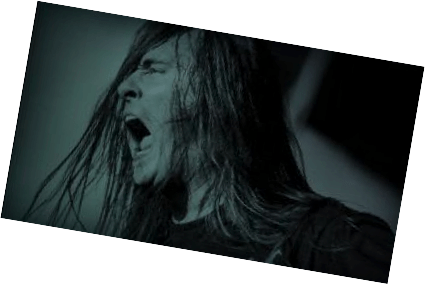 Adrian “Covan” Kowanek was the former lead vocalist of the death metal bands Atrophia Red Sun and Decapitated, had the chance to tour with the technical death metal band Sceptic, and performed concerts all over the world. He always had a good sense of humor, he was curious about the world around him and an extraordinary yet quite normal guy. On October 29, 2007, the touring bus of the Polish death metal band Decapitated collided with a logging truck on a forest-lined roadway near the Belarus-Russia border. As a tragic result, the drummer Witold “Witek” Kiełtyka (23 years old) passed away four days later on November 2nd, 2007 and Adrian, the vocalist, was severely injured and was transported back to Poland where he underwent a highly complex neo surgical operation, at the University Hospital in Krakow. His eight-hour surgery initially proved a success. Thirty-six hours later, his situation took a turn for the worse: With no one attending his bedside, he experienced breathing problems so when the hospital staff became cognizant of his situation, they placed him into an induced coma. 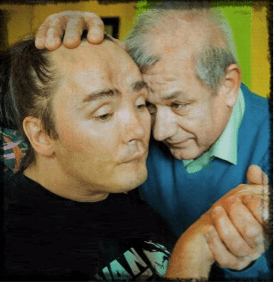 Due to the severe lack of oxygen supply, Adrian suffered both cardiac arrest and cerebral hypoxia, an impairment of brain function due to low oxygen levels in the blood. After six months, he is finally brought back home. 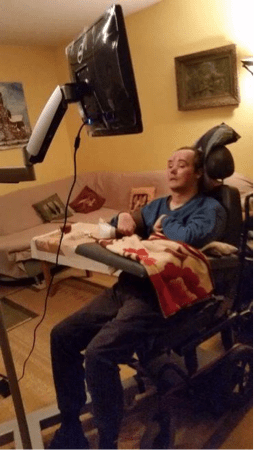 Three years back, the family scheduled Adrian to undergo specialized cell treatment at a clinic in Germany first, then another one in China but both German and Chinese governments had to close the clinics. The Kowaneks didn’t lose their faith and hope, especially when Adrian shocked them talking few little words such as “Hello, Yes, No, Eat” and squeezed Leszek’s hand. 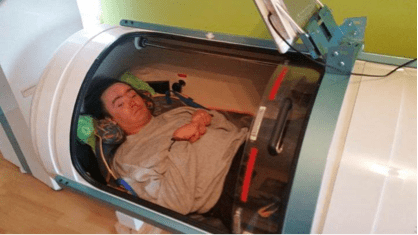 “We would like to purchase a hyperbaric chamber for Adrian, which is very costly and without the help of a donation it won’t have a chance to be successful. Thankfully, a portion of this money has already been collected when we had planned for the cell treatment “, Leszek stated. Adrian and his family won’t make it alone. Lots of bands supported them as Morbid Angel, Decapitated, Ogotay, Deicide, Vader, Ragehammer, Pandemonium, and more. On February 2, 2015, Adrian tested ‘Cyber Eye’ program to communicate with the environment using a computer, thanks to a large part of the funds collected by the crew of Rock’n’Roll tattoo and the people who supported Covan. The family would like to transfer him from a present trauma to a normal life and improve his house conditions (replace old equipment, install a lift, etc…) and in order to do so, they need our help. You can use this site. What do you think? Will you donate? Leave a Comment. POPE FRANCIS to Release PROG ROCK ALBUM!